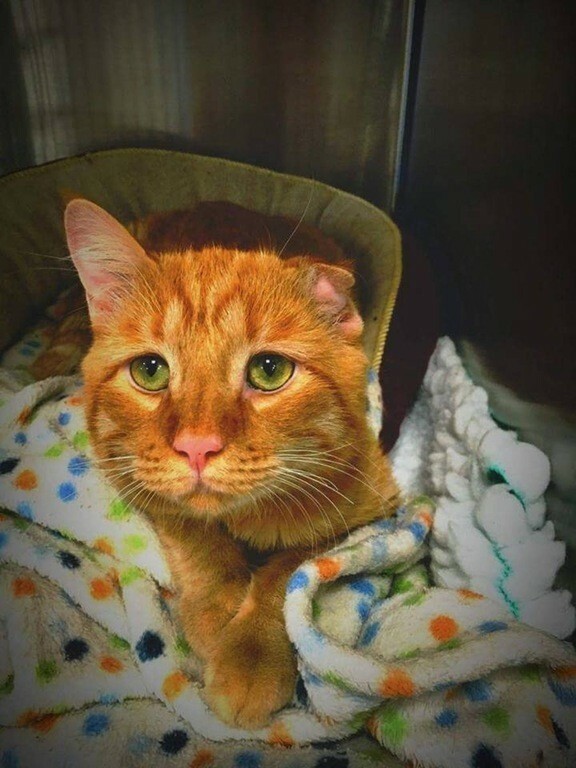 A sad little ginger stray came to the shelter with a crushed spine, several deep lacerations, and a cauliflower ear. The tomcat had a rough life fending for himself in the wild. 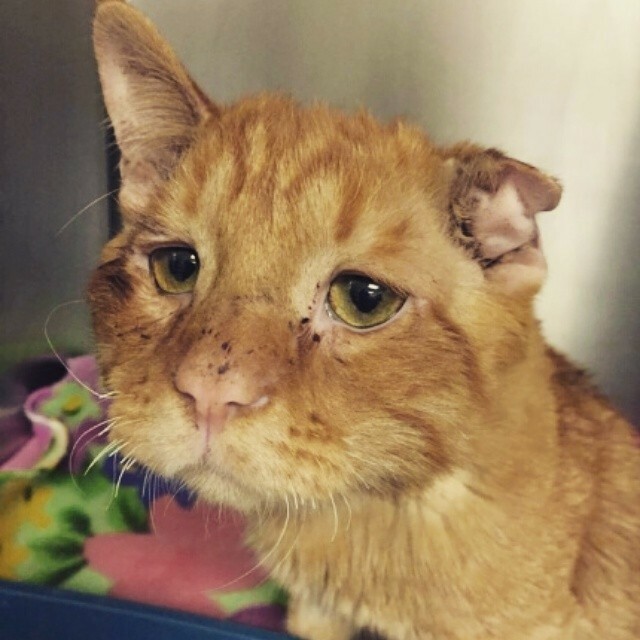 "It appears he was attacked by a large animal... His face permanently looks sad because he has a lot of excess skin on the face, and no one knows why,"
The shelter gave him a place to stay and cared for him for a while until a family adopted him, but soon returned him because of his medical needs. 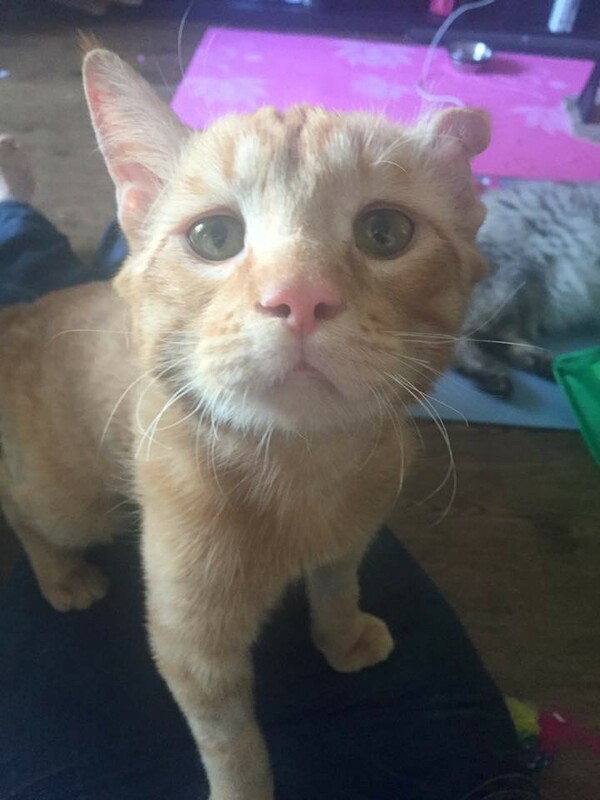 "At that point he was deemed 'un-adoptable'. The vets said he'd never walk and he'd be on pain meds for the rest of his life." 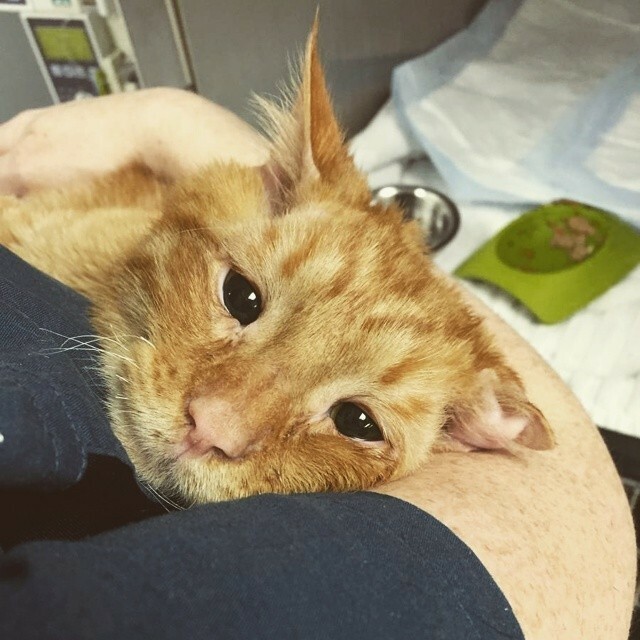 A kind woman, who works for an ER vet clinic learned about the ginger boy and the his plight, and knew she had to save him. 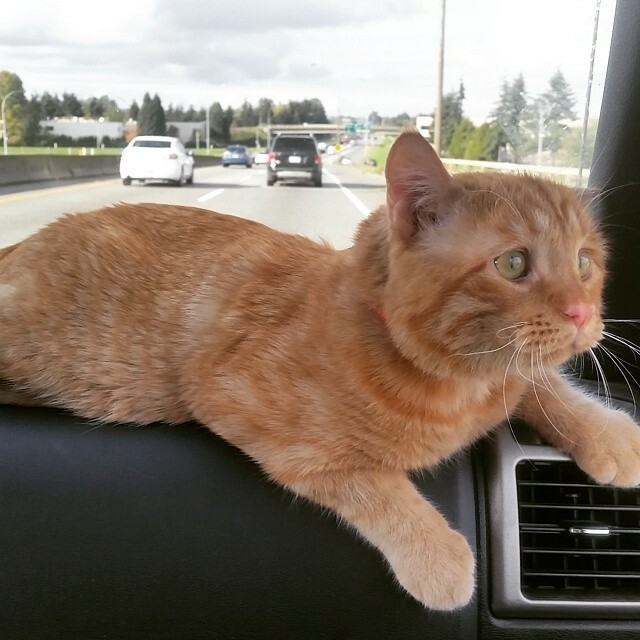 Time was running out, so she and her boyfriend went to the shelter to take the kitty to freedom. 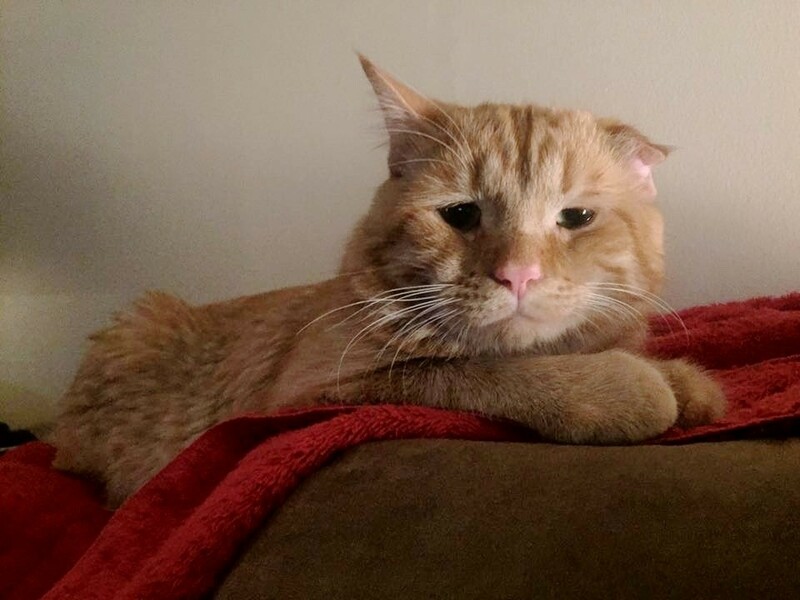 "We managed to get everything sorted out the day before his scheduled euthanization and brought him to his forever home." 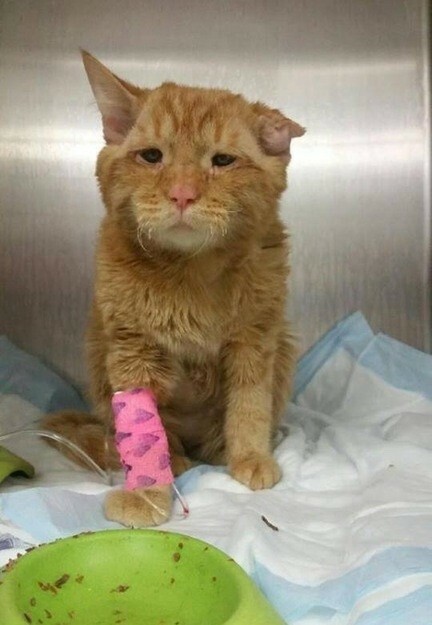 The couple was told that when BenBen was at the shelter, he wouldn't eat, drink or even move. "Almost as if 'he knew he was going to die and had just given up hope'." 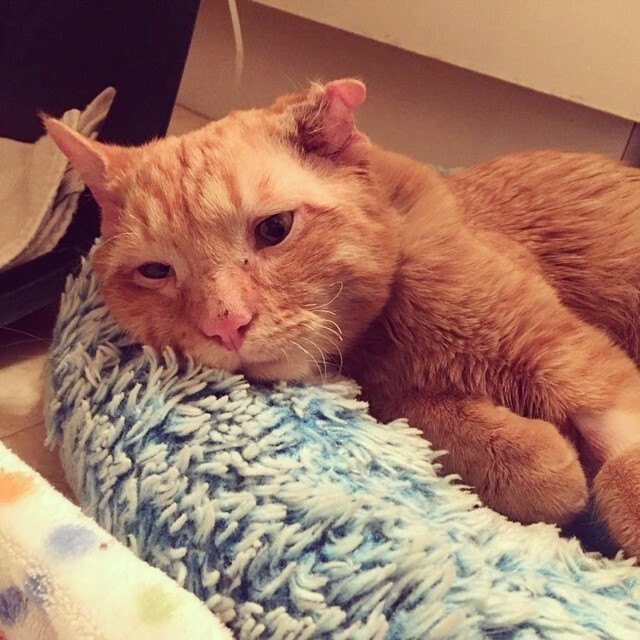 "When we first brought him home we brought him into the bathroom to give him a moment to adjust to our other cats," . 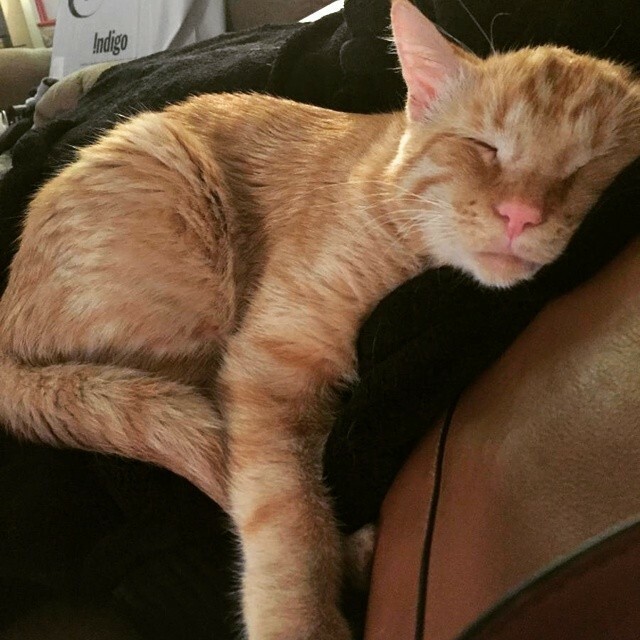 "We sat down with him for about an hour and he was instantly full of purrs, smiles, and 'thank you' cuddles." "I like to think he knew he was safe and had his forever home at that moment. "It only took about an hour for him to start getting curious about his surroundings." From that day on, BenBen became a different kitty. 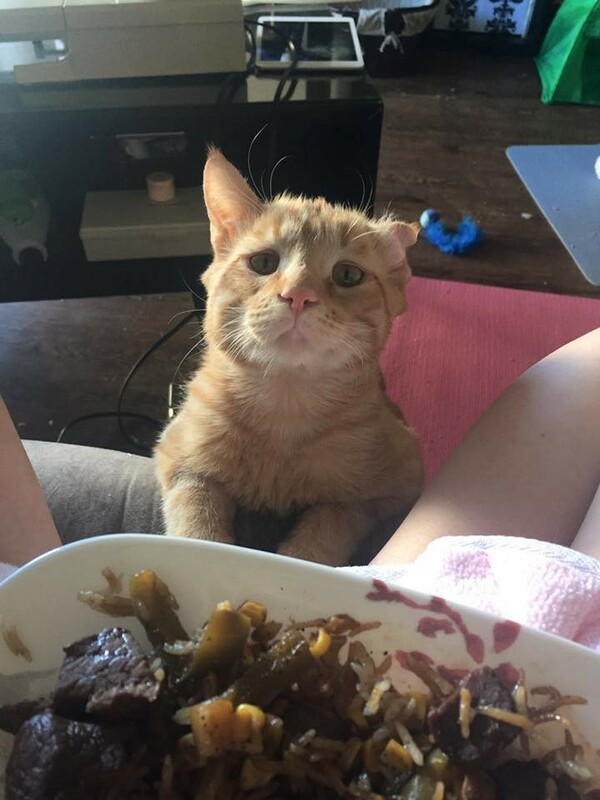 He is a little supurrvisor in the house, always wants to know what his humans eat at every meal. "And even though the vets said he would never walk again he was determined to prove them wrong." Not only can BenBen walk, but he can run and even jump small distances! "He's doing so well! No one who knew him before can believe he's turned out so awesome." It's been nine months since his rescue. 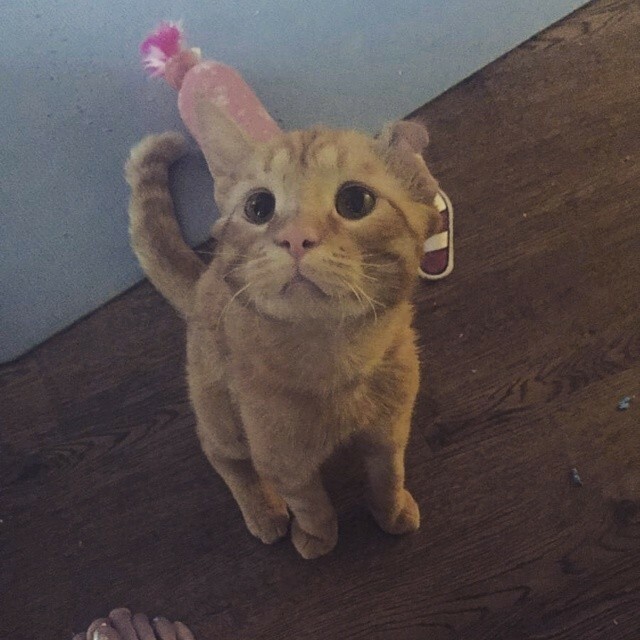 BenBen still has a sad face, but he knows underneath he's the happiest kitty in the world. "We're so proud of this little monster."